I have been feeling pretty 'meh' this past week or so - maybe it's the changing seasons, or the insane workload of the last several months finally taking its toll. So my life has been pretty horizontal lately. I can't NOT craft even when I'm taking it easy, so it's been a few days of crochet, hot mugs of coffee, and Netflix marathons. In other words, homey bliss. And it reminded me how much I love (and miss) crochet! 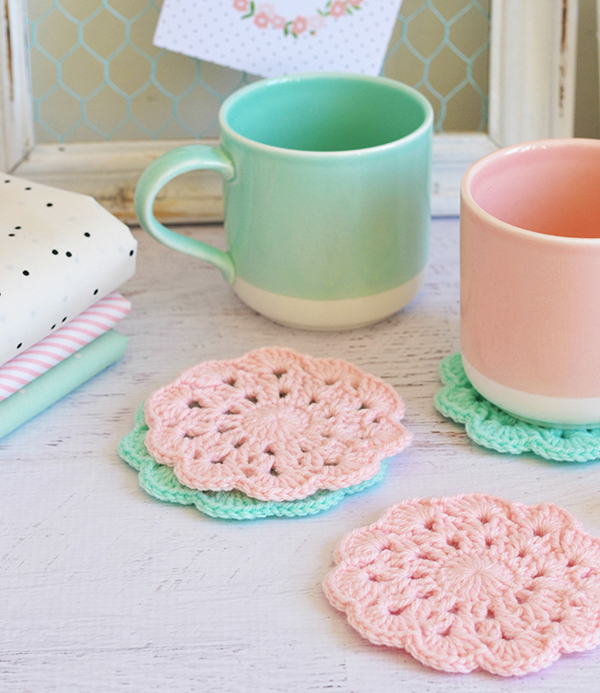 Any crochet followers still hanging around here? 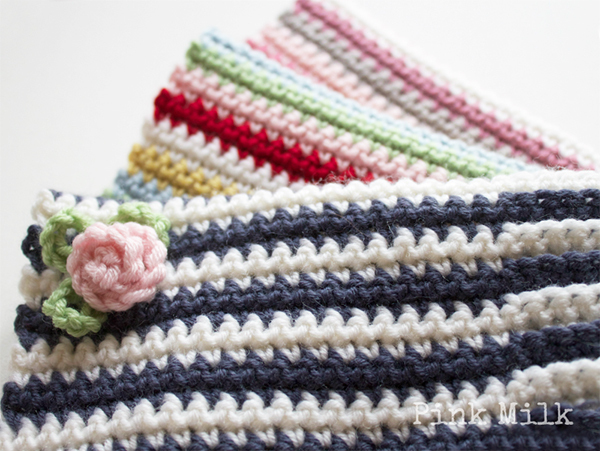 I was wondering when I had last posted about crochet on the blog and I couldn't remember! So I looked it up - it's been almost exactly a year - yikes!! 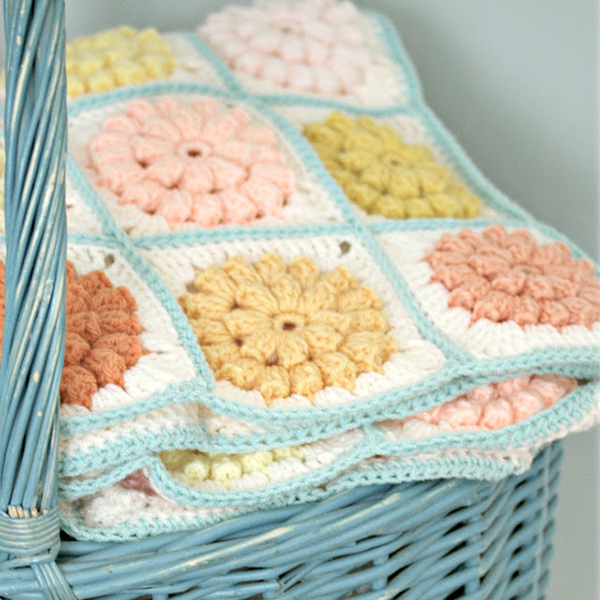 So today I have a few makes to share with you, and a little crochet inspiration too. First up I'm going to show you my latest finish, a 'popcorn' cushion. 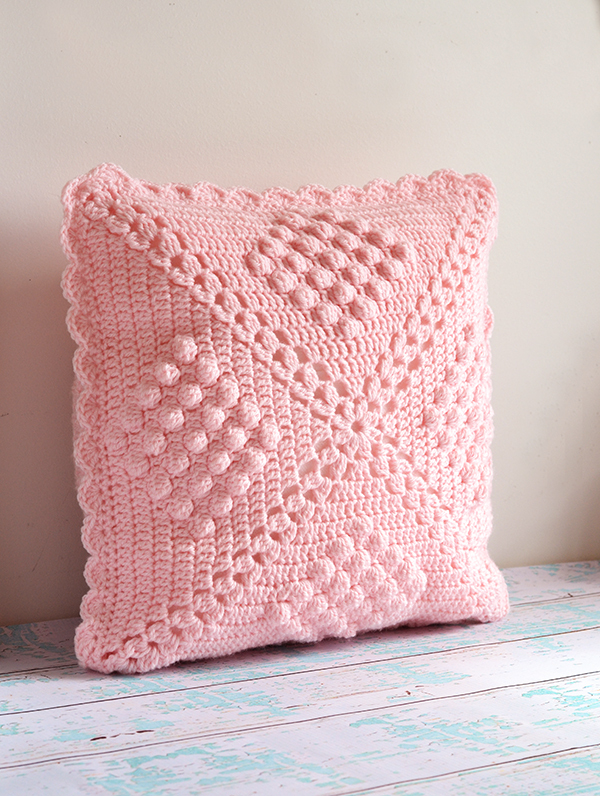 I used this pattern from By Haafner - I modified it a little to add a few extra rows to make it big enough for a cushion (and instead of increasing the number of popcorn stitches all the way, I started reducing them after 5). It needed several blocking sessions to get the shape nice and square, but I am very happy with it now. So pink and squishy. I've also decided that single colour projects to showcase cool textures are pretty awesome. For the back of the cushion I just made a great big granny square - kept going until it matched the front in size. 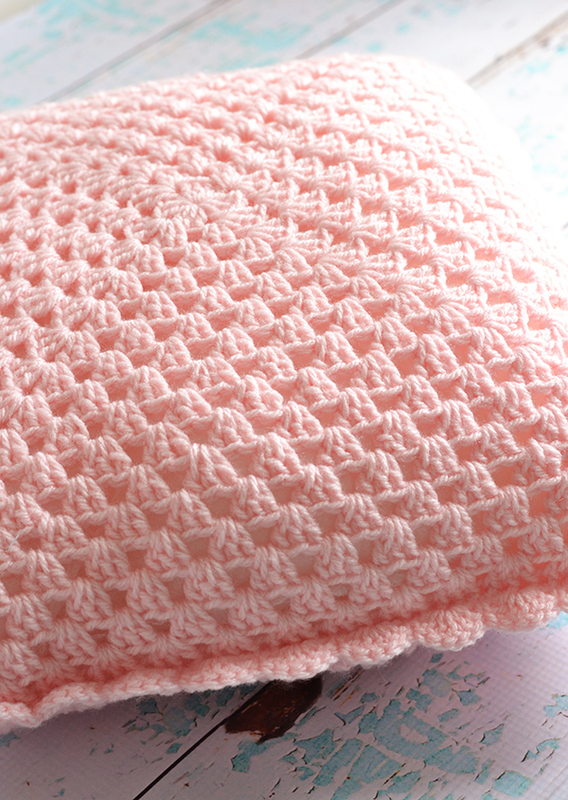 The scallop edge is a fairly standard pattern (5dc in the same stitch, skip a stitch, 1sc in the next stitch, skip a stitch, 5dc in the same stitch, etc. etc.). 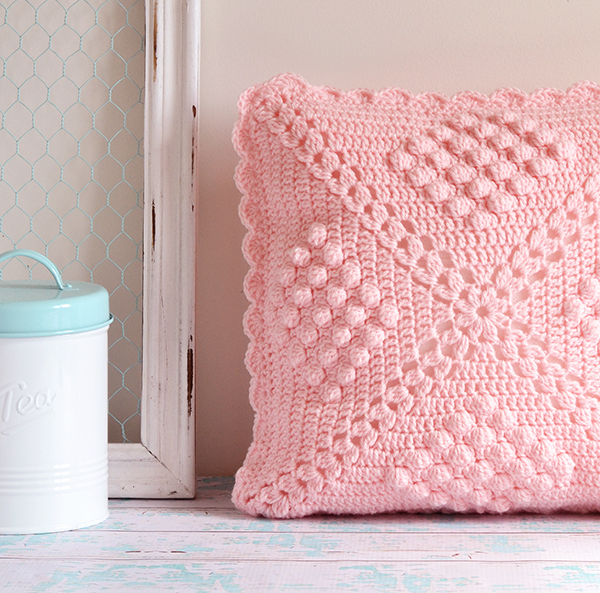 Using 8 ply / DK weight yarn this cushion finishes at 14" square. 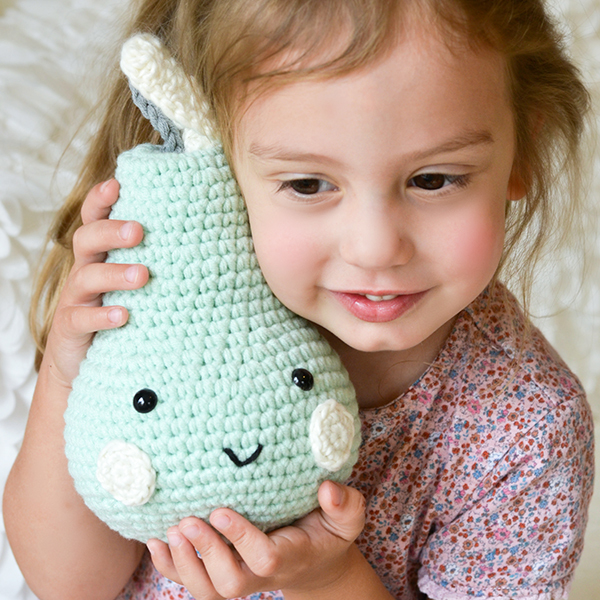 I also made some super-quick coasters, and since I'm posting about crochet I am going to show you an extra large pear I made a few weeks ago -it turned out almost as big as Alice's head! The cute mugs in the coaster photo are from Spotlight. If you are following me on Pinterest you may have noticed the obscene number of crochet projects I have been pinning lately. 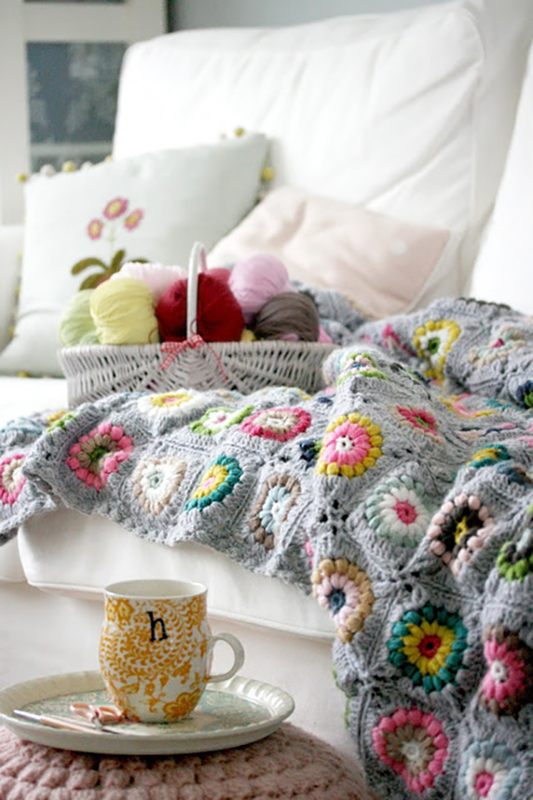 So I thought it might be nice to share with you some crochet inspiration and do a little feature on three of my favourite crochet blogs! 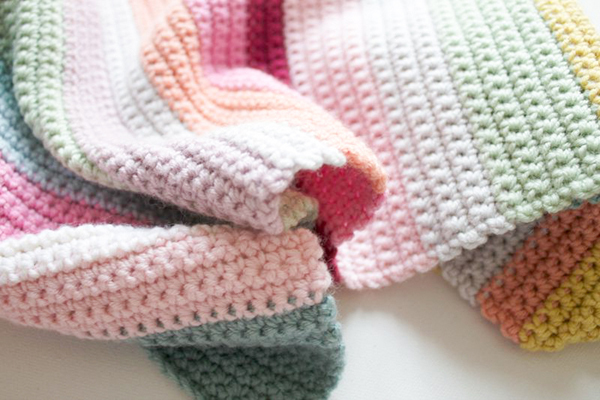 If you don't currently crochet, maybe this will give you the push you need to learn? First up is the work of lovely Sandra from Cherry Heart. 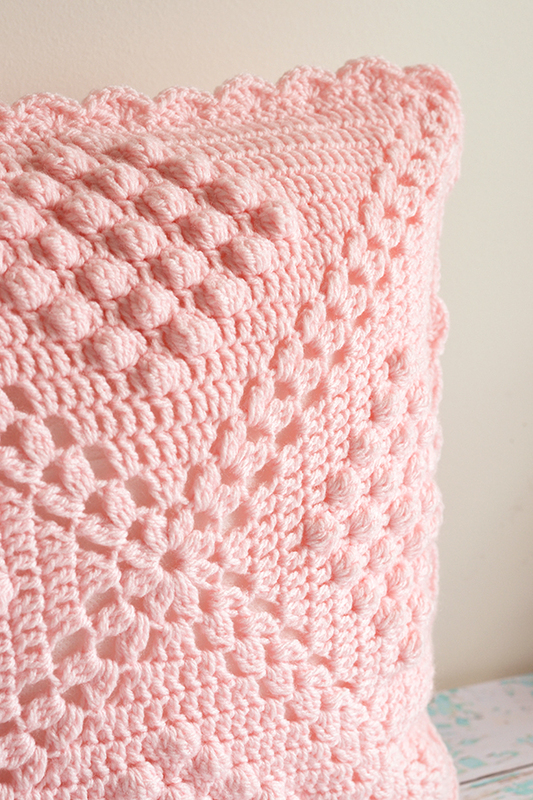 Her blog is one of my original crochet obsessions. 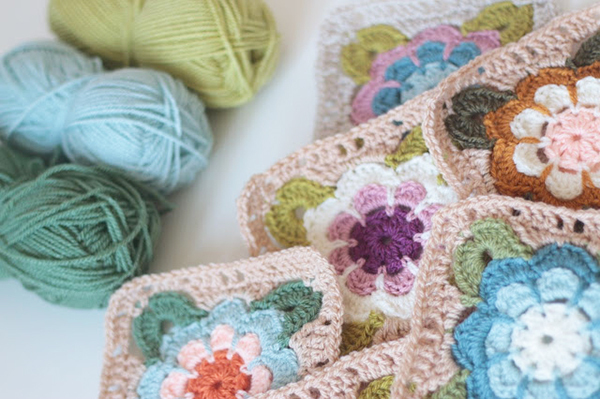 I love her colour combinations and clever patterns, she has some pretty cool tutorials too! Everything you see below - I NEED to make. 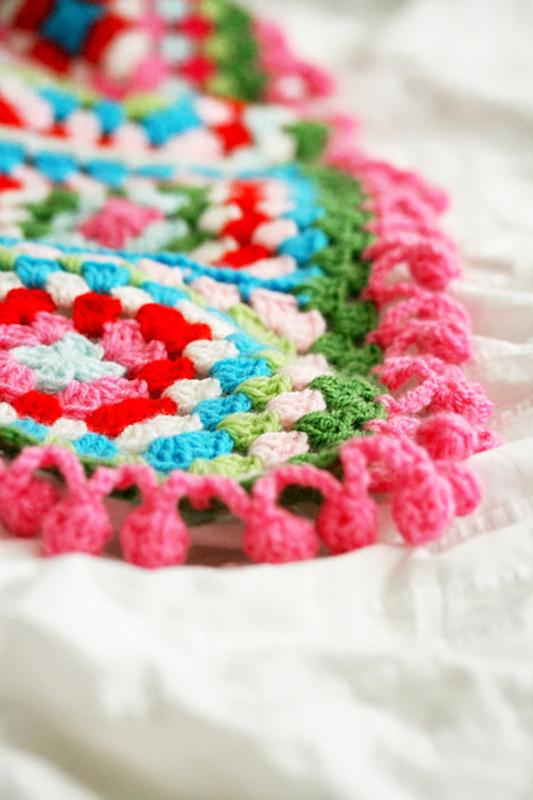 Second up is a blogger who not only makes divine crochet stuff but also writes so well - her posts about the daily happenings in her life are so much fun to read. Ladies and gentlemen, it's Heather from Pink Milk (who is just about to open a yarn shop of the same name too - so jealous). Those pastels!!! Sadly for us, Vanessa is no longer blogging, but she has left her blog up and running so we can continue to enjoy all her beautiful works. And there is a LOT. 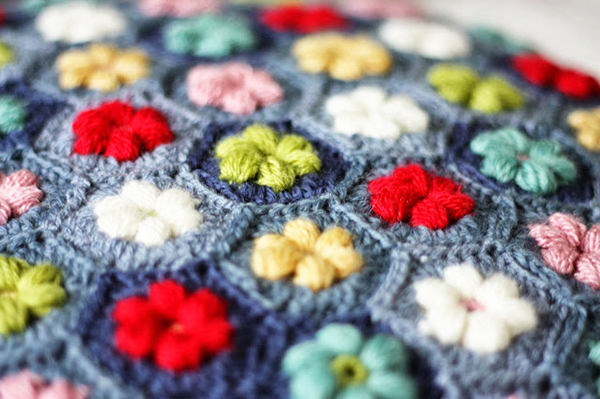 When I look at my early crochet pins on Pinterest so many of them are from her blog - and I had no idea at the time! These ones below are some of my favourites. See that last blanket? 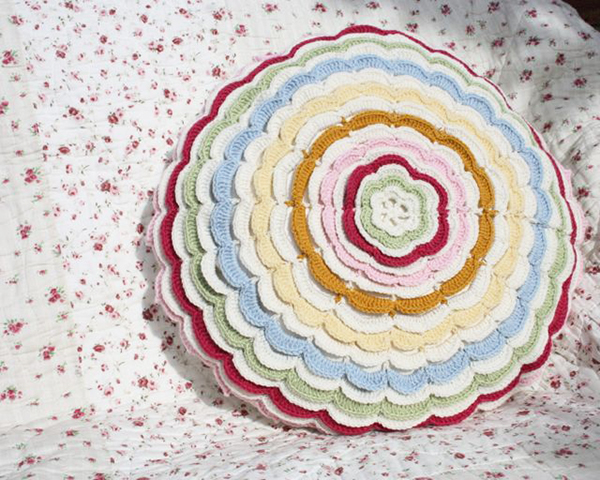 I started making that yesterday (it's an Alicia Paulson pattern called 'Sunshine Day'). 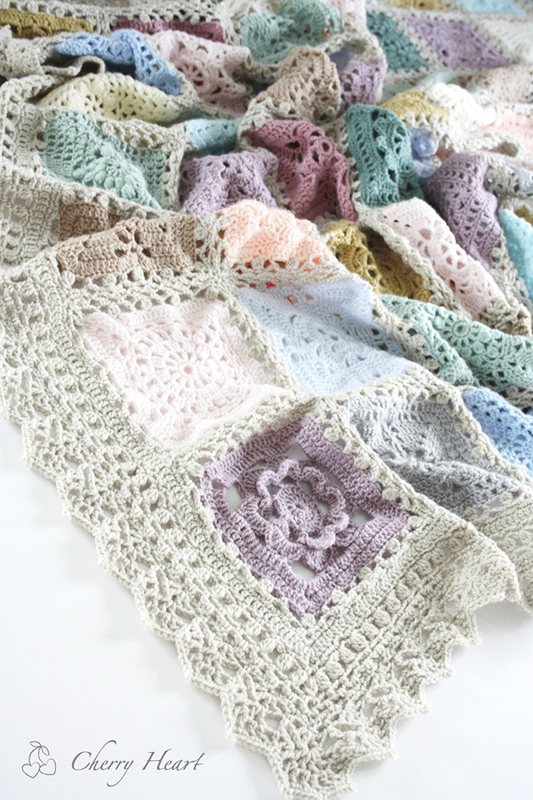 ps - I blame Heather entirely for the massive box of pastel Debbie Bliss Baby Cashmerino that's about to land on my doorstep any day now. I hope hubby's not at home when the postman brings it. pps - in for a penny, in for a pound, I also bought a set of pink Tulip Etimo Rose hooks! Eep! Wow what a perfect combo on the color and the pattern! Love the coasters so much!!!! Can you direct to which pattern you used. LOVE your blog!!!! So much eye candy! I used to crochet through my teen years, but have not worked on anything for awhile. You have inspired me! 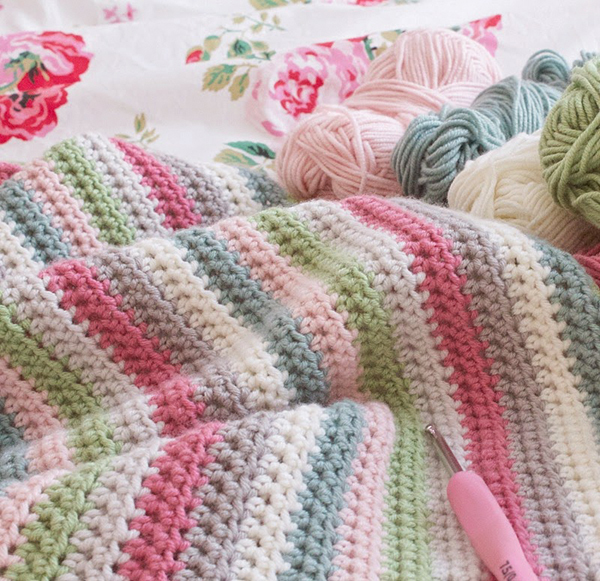 I love the blanked that you are making and I wanted to make the same one for my bed...would you mind sharing the colors that you used for yours? Gorgeous! Everything you make is exquisite! 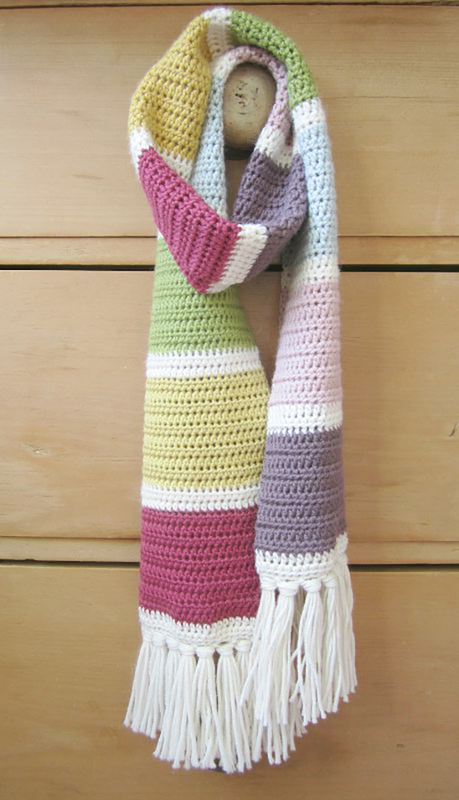 You really are so clever and Sedef and I love all of your crochet designs especially! But there are couple of your crochet designs I'd love to have in my repertoire. Are any of your designs for sale?? ?